As versatile as it is sleek and sumptuous, this dual-ended brush can be used for an array of products, including powder, bronzer, blusher and highlighter in powder, cream and liquid formulations – phew! The rounded end is ideally shaped for sculpting the temples and hollows of cheeks, while the tapered end is shaped perfectly for dusting and adorning pretty cheekbones. The vegan brush heads are beautifully soft and the weighted metal handle provides effortless control – and a welcome touch of luxe – to any make up collection. 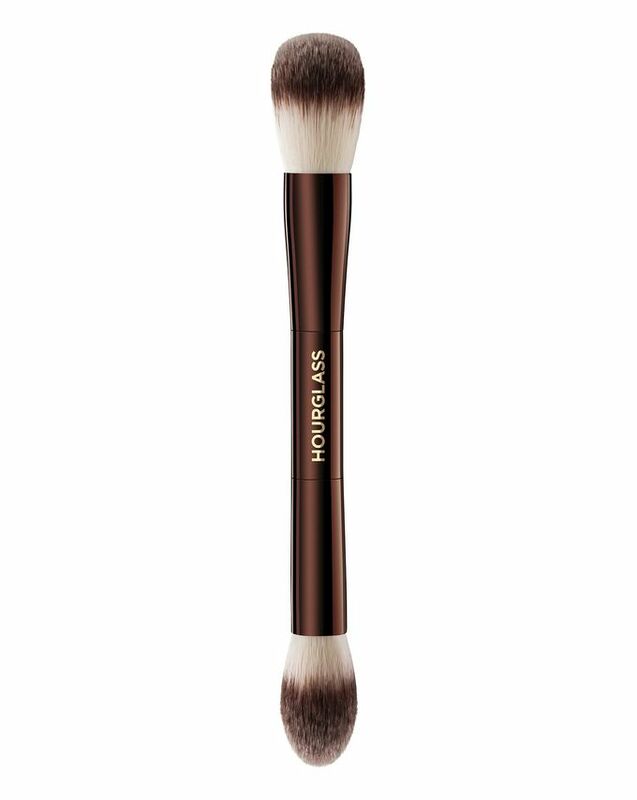 Versatile and luxurious, Hourglass’ Ambient Lighting Edit Brush can be used for all manner of make up artistry. With two sumptuous (totally vegan and PETA-approved) brush heads, it’s ideal for creating a subtly sculpted look – the rounded end is ideally shaped for applying finishing powder, or adding bronzer to the temples and hollows of cheeks, while the tapered side is shaped perfectly to adorn apples and cheekbones with blusher and highlighter. Whether you’re using powder, cream or liquid formulations, this sleek brush ensures a flawless finish, with a weighted metal handle to provide control and effortless blending and application. I've been looking for good synthetic brushes for ages and then I came across these and I love this brush so much. They are really soft and high quality. I haven't noticed any fallout from the bristles at all. I use the pointier side as a highlighter brush which works really well on the nose and cheekbones, then I use the flatter side as a contour brush which again works really well on the cheeks and the nose. These brushes are so beautiful and really high quality, I ended up replacing most of my other brushes (foundation, powder, eye shadow) with hourglass brushes after trying this. Highly recommend.